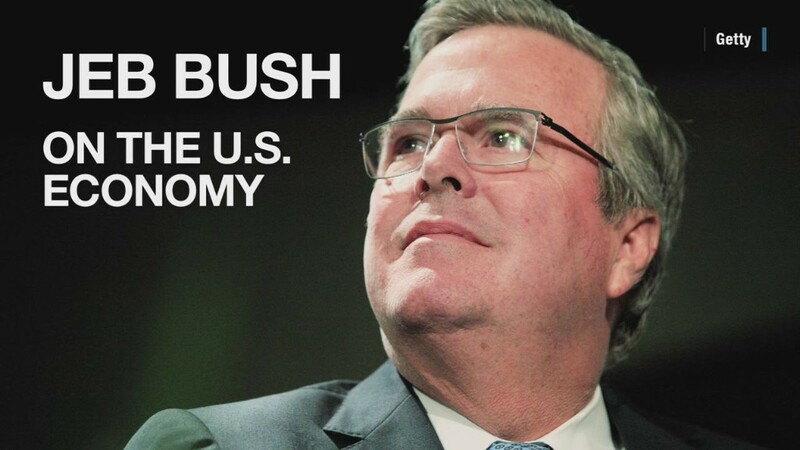 Republican Jeb Bush says he will "actively explore" running for president in 2016. If he does run, his views on taxes will be closely scrutinized. The former two-term governor and scion of one America's most influential political dynasties has left a long trail on the issue. Tax cuts: As Florida governor, from 1999 to 2007, Bush signed a number of tax cuts and tax-break expansions. Biggest among them was a reduction and then a repeal of the state's tax on personal assets such as investments, said Kurt Wenner, vice president of research at Florida Tax Watch, a government watchdog group. Bush also approved a manufacturing deduction for electricity and instituted several sales tax holidays, Wenner said. In addition, he backed a rollback of a school property tax, a bigger property tax break for veterans, and a property tax exemption for child care facilities in so-called enterprise zones, according to the publication Tax Notes. Bush presided over Florida during one of the strongest revenue periods in the state's history thanks in part to the boom in property values, Wenner said. So revenue grew significantly even with the tax cuts Bush approved. While he wasn't shy about vetoing pork-barrel spending, Wenner added, the state budget nevertheless grew under his watch. The libertarian Cato Institute, which grades governors' fiscal records, said Bush was "a prolific tax cutter, but he let spending rise quickly toward the end of his tenure." Tax increases: Bush upset conservatives when he told the U.S. House Budget Committee in 2012 that he could live with a small tax increase to bring down deficits -- as long as it's done with a much larger spending cut. "If you could bring to me a majority of people to say that we're going to have $10 of spending cuts for $1 of revenue enhancement, put me in, Coach," Bush told lawmakers. The no-tax "pledge": For years, anti-tax crusader Grover Norquist has pressured Republican lawmakers at the federal and state levels to sign a pledge saying they would oppose all tax increases. A majority of Republicans in Congress and 14 governors have signed that pledge. Jeb Bush wasn't one of them. "I ran for office three times. The pledge was presented to me three times. I never signed [it]. I cut taxes every year I was governor. I don't believe you outsource your principles and convictions to people," he told the House Budget Committee. Tax reform: Bush is for it. With regard to corporate tax reform, in particular, he told lawmakers that they should review, then cull, the herd of business tax breaks. "In return for lower tax rates, I think that's exactly what we ought to be doing," Bush said.